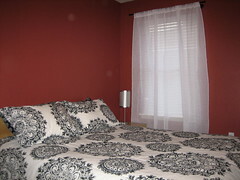 Here's the guest room. We need to figure out what kind of art to hang above the bed. 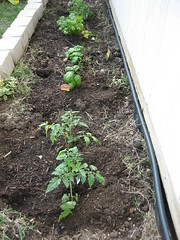 Here's the kitchen garden where the fire ants used to live. 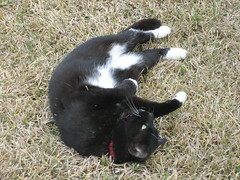 Here's the requisite cat picture of Stinky rolling around, over the trauma of cat door training. I can't wait to come stay!! We love "our" room! In about 4 short weeks we'll be arriving in TX!